Customer using our heavy duty Demucking System (Model Number: DM-20/1000) with low flow water cannon. Robustly designed for heavy industrial applications such as mining and oilfield services, our DM Series demucking systems are great for cleaning large haul trucks, steel tracked vehicles or any heavy equipment caked with mud, clay, ice, grass or muck. 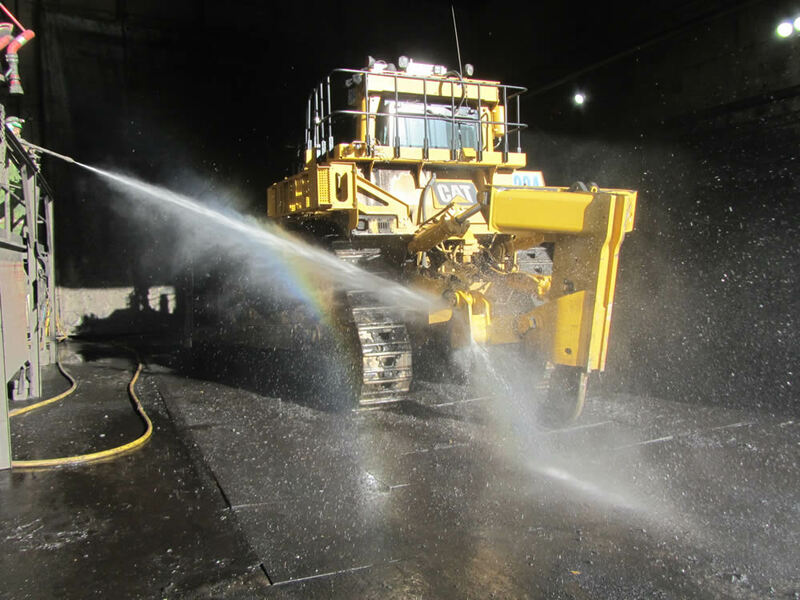 For drilling and construction equipment applications, our 20 gpm demucker system cleans quickly and effectively, in half the time of a typical pressure washer. For mining applications, we have developed a revolutionary heavy-duty demucking system to replace the standard high volume monitors and water cannons that have been used for decades. 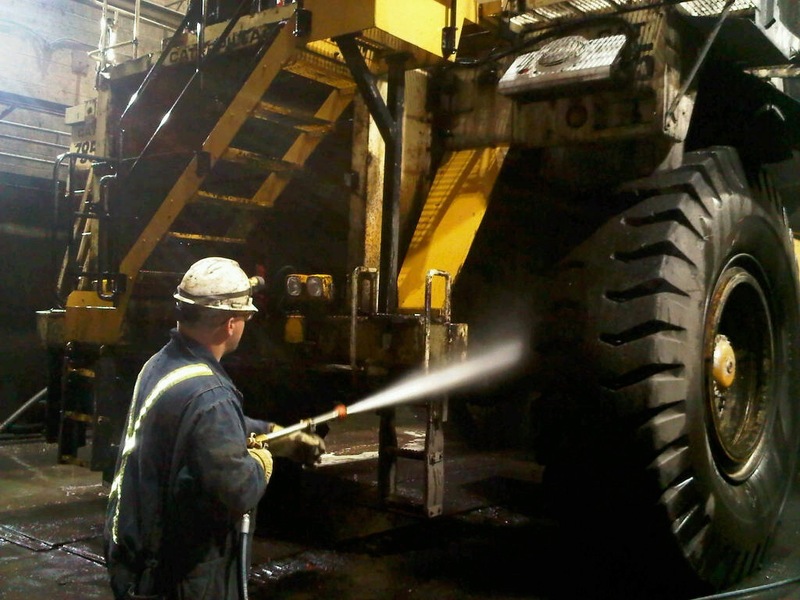 Our systems combine increased pressure and specialized nozzles to ensure a quality wash. 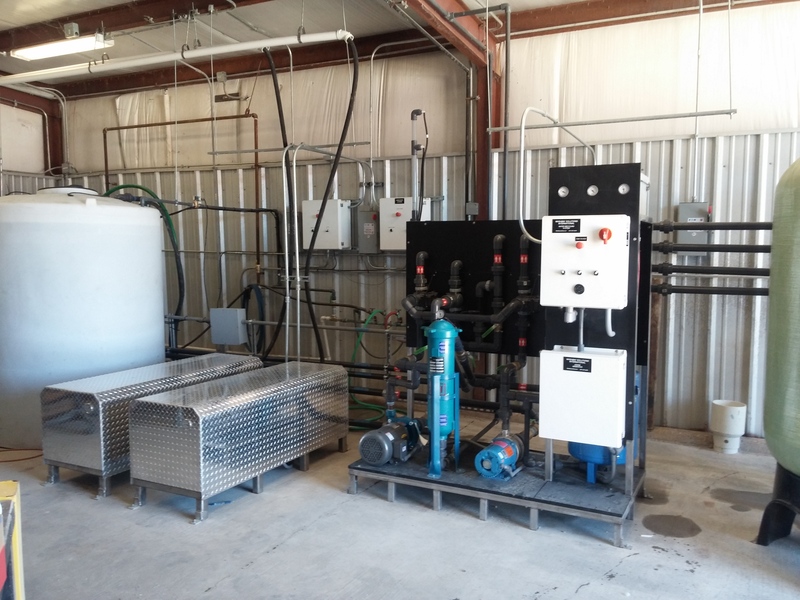 Using only 60 gpm of reclaimed water, our demuckers will effectively remove heavy accumulations of dirt and mud – saving thousands of gallons of water per cleaning. 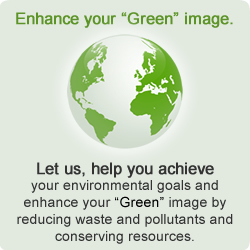 Fast and effective cleaning while saving time, water and water treatment costs – a win-win-win situation! Give us a call for more product information – 1-800-453-8639! Fast and effective cleaning while saving time and water – a win-win situation!